Making connections to a book is a great way for young readers to strengthen their reading comprehension. The three ways one can make connections are text-to-self, text-to-world, and text-to-text. Making connections will also turn reading into a more meaningful experience. 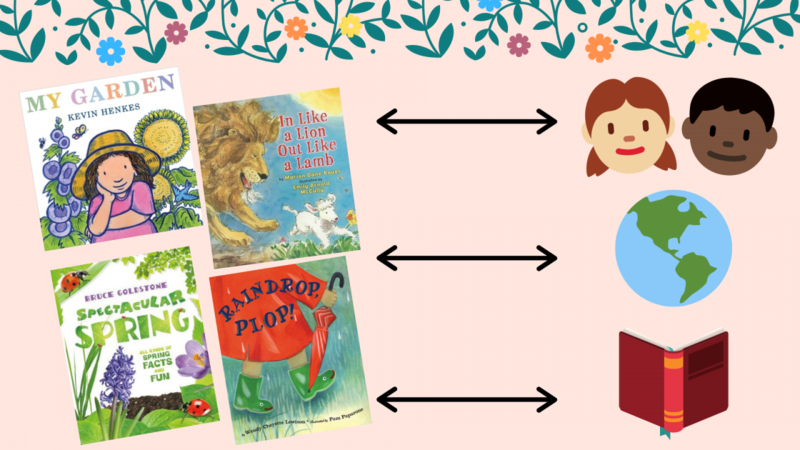 Since spring is just around the corner, here are some spring picture books that would be easy and fun for children to make connections. The books are targeted approximately for preschool-second grade. Readers connect the book to something personal in their life. 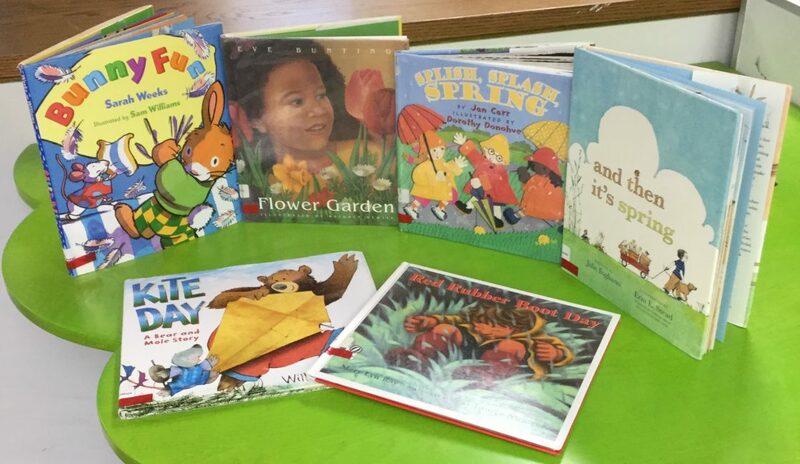 The following books center on common spring activities, such as splashing in puddles, planting a flower, and having indoor fun on a rainy day. Children can point out how some of the book characters' activities are the same ones they like to do. Example: "Bear and Mole are making a kite. That reminds of when my dad and I made a kite together and flew it in the park." This connection helps readers be more aware of the world around them. Spring brings all sorts of weather and reintroduces certain plants and animals. 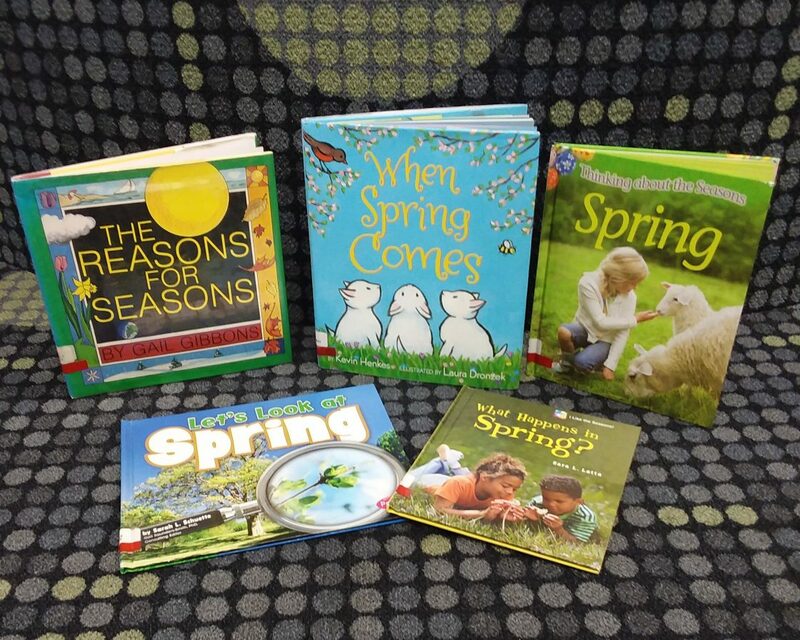 Children can talk about how some of the spring weather, animals, and plants in the books are some of the same ones they see in their environment. Example: "This picture of a robin and its nest makes me think of the different nests I saw when I visited my grandparents' farm." Sometimes readers can connect two or more different books they have read. It can be an exciting experience for children to be reading a fact and recognize that fact from a similar book they read. They can also take two or more books and talk about how each book describes the same subject in different ways. You could take any of the above-mentioned books and find ways to connect them with their shared subject of spring. Example: "This book reminds me of another book I read, because they both have pictures of flowers that bloom in spring." If you are interested in more spring-related books, visit our online catalog or stop by the Youth Library! 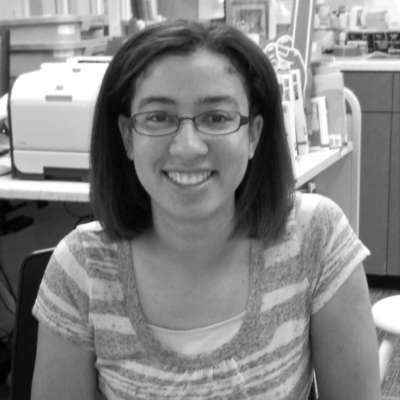 Tirzah is the Youth Services Assistant and a Circulation Clerk. She enjoys helping to plan and assist with our fun youth events and is always happy to help patrons find their next great read.